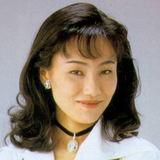 March 15 is Naoko Takeuchi's birthday, and we're excited for any reason to talk about her amazing career! 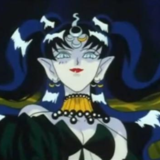 From an early start as an award-winning teen manga artist to the global phenomenon that is Sailor Moon, we're taking a look at her history. Check it out after the jump! To promote the upcoming CD/DVD release on December 17, the Pretty Guardian Sailor Moon franchise's official YouTube channel has started streaming a seven-minute digest clip from "Pretty Guardian Sailor Moon Classic Concert 2018" held at Tokyo Metropolitan Theatre Concert Hall in Ikebukuro, Tokyo, on August 28, 2018. Check out how the famous Sailor Moon tunes were arranged by the full orchestra after the jump! 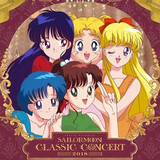 In the repeat performance at Osaka Festival Hall on Saturday, Kotono Mitsuishi, the voice of Usagi Tsukino/Sailor Moon in all anime series, announced that "Pretty Guardian Sailor Moon 25th Anniversary Classic Concert" will return with Mitsuko Horie, the voice of Sailor Galaxia in Sailor Moon: Sailor Stars, as a special guest this summer. Watch the videos from the previous shows after the jump! Watch Orchestra Performs "Moonlight Densetsu" in "Sailor Moon 25th Anniversary Classic Concert"
To promote the upcoming second concert to be held in Osaka on April 28, the official YouTube channel for the Pretty Guardian Sailor Moon franchise has started posting weekly videos from "Pretty Guardian Sailor Moon Classic Concert," the first one in Tokyo in August 2017. 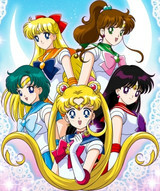 The first clip is the OP theme song for the original TV series, "Moonlight Densetsu," performed by Tokyo Philharmonic Orchestra. 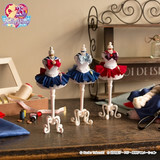 Bandai's official online store Premium Bandai today started accepting pre-orders for the first three items from its newly launched miniature dress collection line "Cherie Closet" for adult females, inspired by Sailor Moon, Sailor Mercury, and Sailor Mars from the internationally popular Pretty Guardian Sailor Moon franchise. Check out the details of the brand new items after the jump! 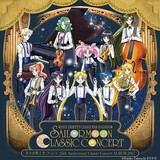 Watch Digest Clip from "Sailor Moon 25th Anniversary Classic Concert"
To promote the release of its CD album on December 6, the official website for the Pretty Guardian Sailor Moon franchise's 25th anniversary project has posted a four-minute digest video from "Pretty Guardian Sailor Moon Classic Concert" held at Tokyo Metropolitan Theatre on August 2 and 3. Listen to the popular Sailor Moon tunes arranged in symphony form after the jump! Japan Times Video Report: "Walk-through of New Sailor Moon Store in Harajuku"
In cooperation with Toei Animation and Kodansha, Bandai opened "Sailor Moon Store" on the 0.5th floor of the Laforet Harajuku department store in Tokyo on September 23. The Japan Times has posted a six-minute "walk-through" video to introduce Japan's first permanent official store dedicated to the Pretty Guardian Sailor Moon franchise that celebrates 25th anniversary this year. 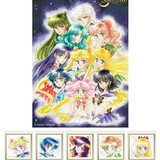 Saitama-based toy/character goods company Ensky will start accepting pre-orders for "Pretty Guardian Sailor Moon 25th Anniversary Premium Frame Stamp Set" featuring original manga arts drawn by the Sailor Moon manga author Naoko Takeuchi at the post offices across Japan and Japan Post's online store on October 2. Check out the contents of the special set after the jump! Fresh news from the "25th Anniversary Usagi Birthday" event, a Sailor Moon-themed film screening and talk event that runs from June 30 - July 01, 2017, at the Marunouchi TOEI movie theater in Ginza, Chūō Ward, Tokyo, Japan: the next installment of the Sailor Moon Crystal anime will be a two-part film series adapting the "Dead Moon" arc of Naoko Takeuchi's classic magical girl shōjo manga. Hit the jump to learn more. 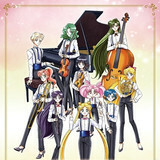 The official website for "Pretty Guardian Sailor Moon Classic Concert" to be held at Tokyo Metropolitan Theatre on August 2 and 3 opens today with a key visual featuring 10 Pretty Guardians in formal costume for a classical music concert. 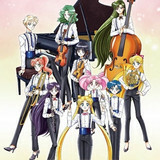 Usagi, standing as conductor, is surrounded by the other nine holding their instruments. Check more information after the jump. 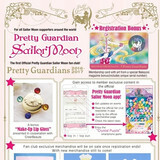 Pretty Guardians 2016-2017, the official fan club of the Pretty Guardian Sailor Moon franchise announced today that its membership will open to fans in 38 countries/regions in the world who doesn't have a Japanese address from next Friday, September 23. Hit the jump for more details. 16-year old Russian figure skater Evgenia Medvedeva has become a Japanese sensation ever since she began touring Japan in the last couple of years. 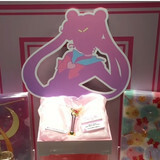 From reciting Moonlight Densetsu in Japanese and running a Twitter account that proudly showcases her love of Sailor Moon, anime and manga, she has become a celebrity in Japan, which only cemented itself further after this week's Dreams on Ice performance, which culminated in meeting the Sailor Moon author herself. Hit the jump for the pictures.